Having moved into a new home it is essential that carpets are given a chance. The overshoes are an ideal way of protecting them and nobody complains. Our daughter lives on a a farm and with four children and a shifting population of their friends this product has proved invaluable and is known as Mum's SOCO kit!! Perfect for putting over walking boots to go in the pub or tea room at lunch time. Also saves having to change boots when getting back on the coach. These overshoes are a generous size to fit all and of good quality. Very happy with the product quality and price. Fitted very well over the large hospital cast covering my broken foot. Helps a lot to keep my foot dressing clean both indoors and outdoors. Delivery and packaging etc as per what the label says and forecasts. Recommended. 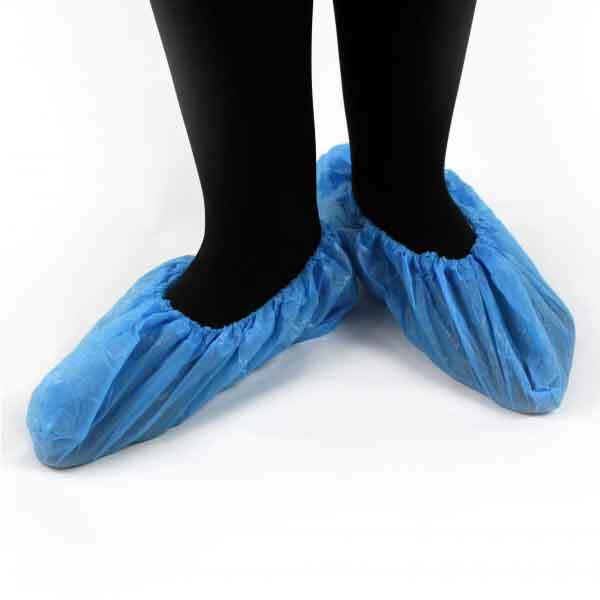 protect carpets save taking shoes off when in and out odd jobbing. good for covering shoes when packing in luggage. Used to cover muddy boots before entering a pub when out walking. Very useful for our house viewing. The product is fit for purpose. Good tough and fits my boots.. I wanted something for potential tenants to wear when viewing my property. Having spent an age cleaning it I wanted it to stay that way, rather than them traipsing rain and mud inside. The product is perfect. I do a lot of walking & use the boot covers when we go for lunch etc., saves taking our boots off!! The "foot gloves" are handy to have when moving house, with all the trampling around that that ensues. It was a last minute epiphany, and I was surprised with the fast delivery. Thank you. We use the overshoes in our pool building to ensure the poolside is kept clean and not contaminated with outside dirt. I would recommend the overshoes to similar schools/companies who have a swimming pool. These were purchased for using over walking boots which get very muddy. the overshoes are good quality and do the job perfectly. We are a domestic cleaning company and as a sign of respect to our clients property we like to wear these overshoes, these are an excellent size as well as my husband has rather large feet. These stop me from bringing all kinds of stuff from outside into the house on my shoes. The quality of the order ws very good. So glad I got them my career was getting wet feet. Now they are nice and dry. The best disposable overshoes I've ever used!